These 27 cheap DIY Christmas decorations will have your home looking like a festive winter wonderland in no time! Christmas is a great time of year! Excited children and beautifully decorated homes create a magical setting that’s perfect to create wonderful memories. Unfortunately, decorating for the holidays can get expensive. Wreaths can cost upward of $100 and homemade crafts can often cost double. Luckily, you can create a beautiful home for the holidays on a budget and these 27 cheap DIY Christmas decorations can help. 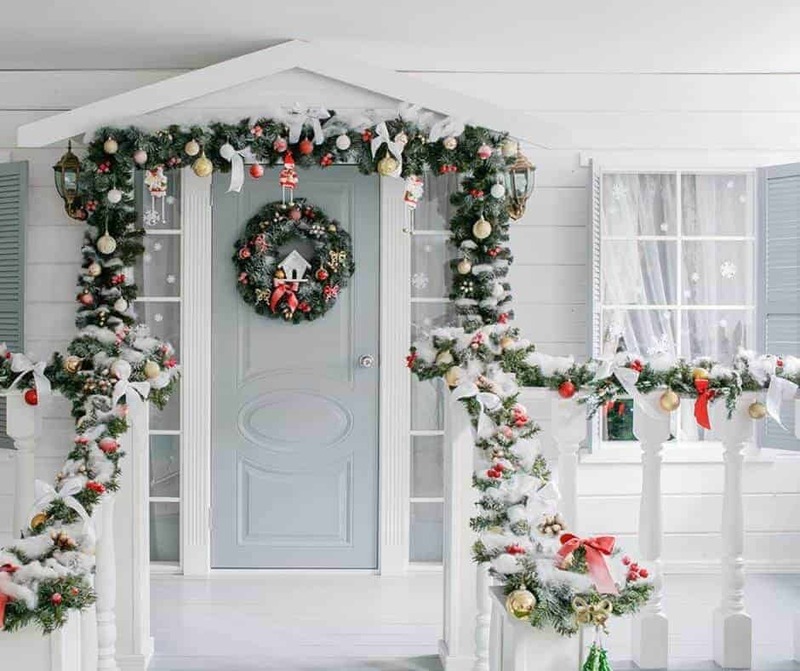 Below you’ll find some great Christmas and Holiday Decorating ideas for both inside and outside your home. Some of these ideas are so creative that you almost have to wonder how they came up with them! Just click on the images to be taken to the tutorials and original source. 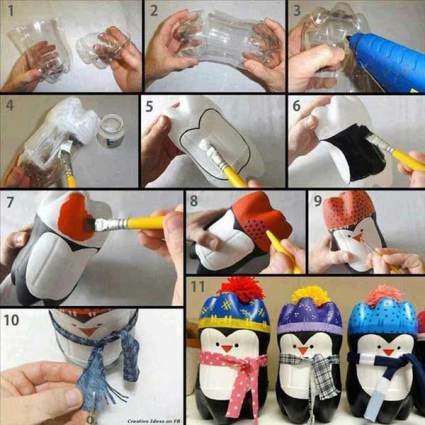 Reuse two-liter soda bottles by turning them into adorable penguins! Make several and add them to your mantle or use them as centerpieces for the children’s table at dinner. This idea is adorable! 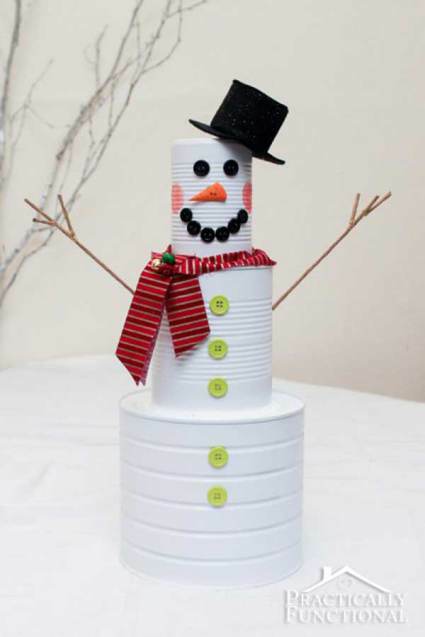 Recycle your soup cans by turning them into the cutest snowman ever! These could be put anywhere and would surely put a smile on everyone’s face. Make a glamorous mini-tree using colorful shiny ornaments that match your home’s decor. These would be great as centerpieces! Combine ornaments to create a festive tree! 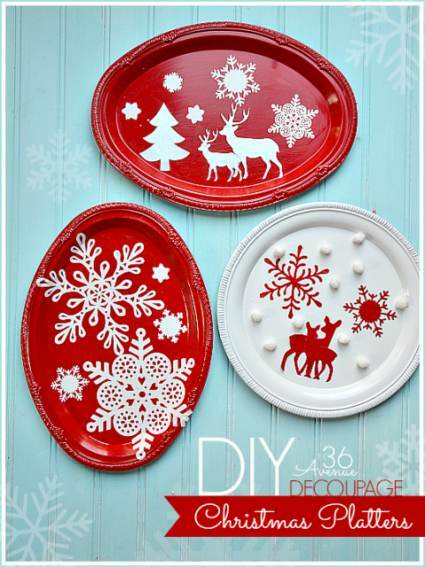 This easy Christmas craft would be great to do with the older kids. All you need are foam blocks and felt squares or old material. A simple foam block comes to life with this crafty DIY project. 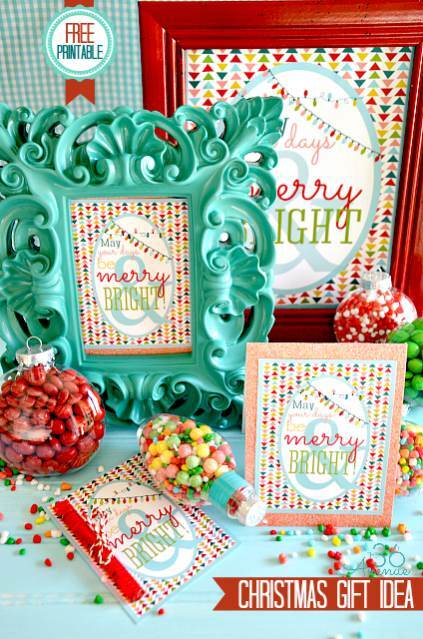 An affordable frame from the dollar tree with one of these cheerful holiday printables will make a great addition to your home. Cute and free printables you can frame! 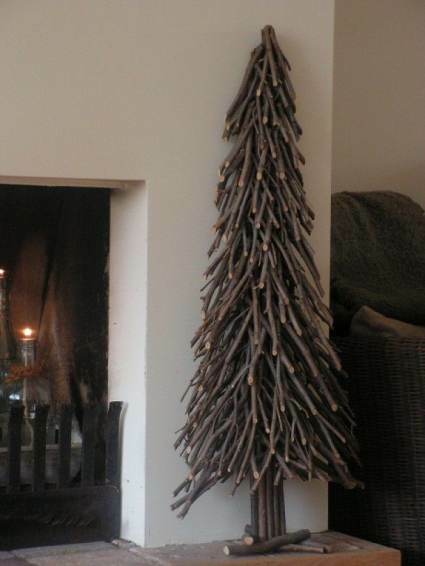 Using natural materials is perfect for those that like traditional Christmas decorations. Pine needles, branches, bark, and pine cones are free and can be turned into many cheap DIY Christmas decorations. 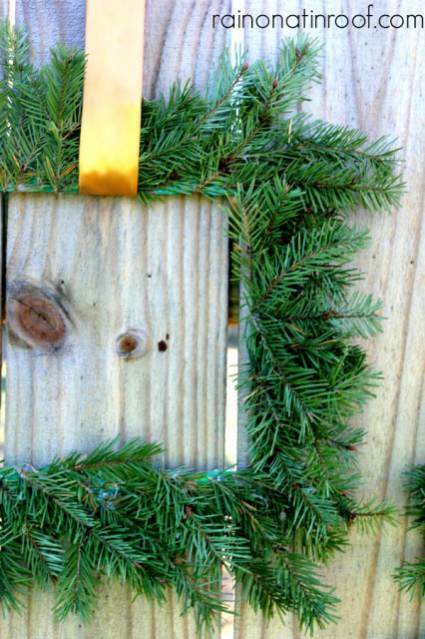 Use an old picture frame as a base for this square wreath. In this case, you want to be a square! 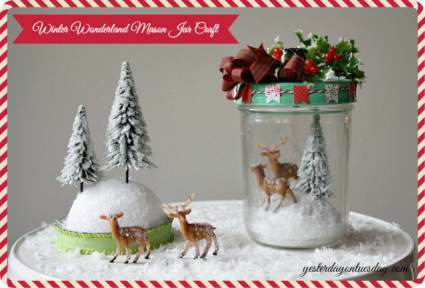 Make a cute Christmas scene of any theme using mason jars! This one uses little deer toys! A couple bottles of acrylic paint or silhouettes decoupaged onto a surface are perfect for creating cheap DIY Christmas decorations. You can paint and decoupage practically anything! Use flea market finds such as platters like these. DIY platters are perfect for an empty wall. Paper is one of the most easy-to-find and affordable materials so it’s perfect for making cheap DIY Christmas decorations. Use a cardstock, a hole-punch, and yarn to make these adorable stockings to hang. 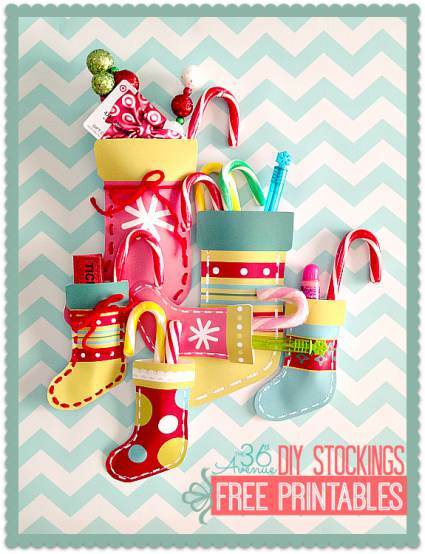 Click the image to get a free stocking printable. 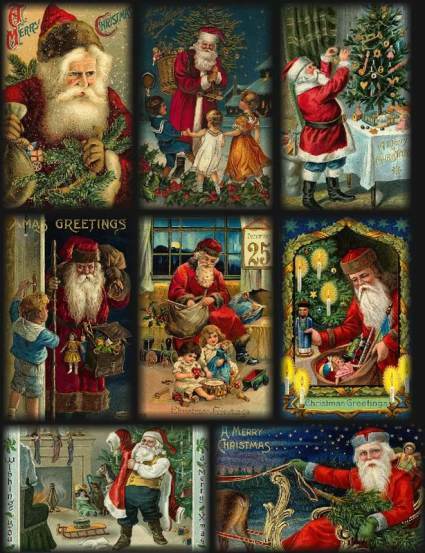 Here’s another resource for vintage Santa printables. You can frame them or decoupage them onto wooden plaques, boxes, plates, just about anything! Click on the image to get free Christmas printables that you can frame! Live in a small home? This Christmas tree could be perfect for you! Branches, ornaments, and Christmas lights shaped like a Christmas tree and hung on a wall is a great representation of the traditional tree. Pallets are perfect for making cheap DIY Christmas decorations! 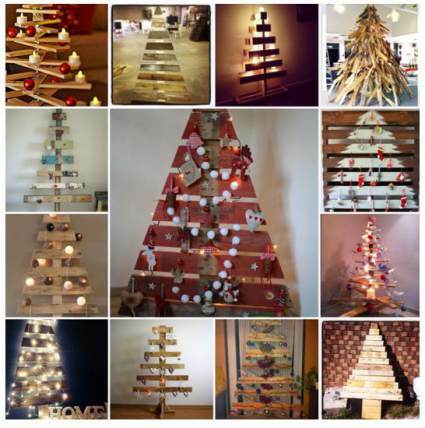 This idea uses an entire pallet as a base for a great Christmas tree! This pallet tree is so cool! Here are more great pallet ideas! You can do so much with pallets and they are affordable and abundant so they are perfect for cheap holiday decorating. 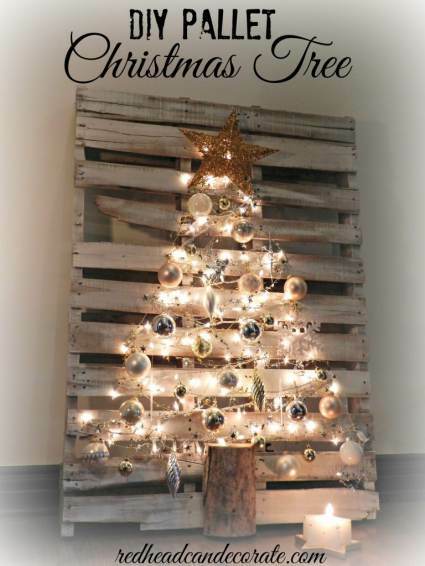 Pallet Christmas trees are perfect for a home with primitive decor. This is a great way to add eye-catching lights to your home for the holidays! 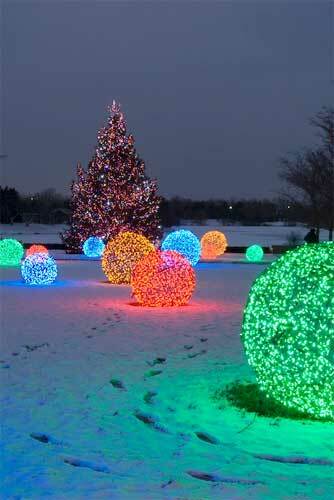 Create a ball of any size out of chicken wire and attach Christmas lights to it! Hang or place on your lawn for an eye-catching display. Lighted chicken wire? Yep, and it’s gorgeous! Yarn and glue can be turned into a beautiful, lighted garland. This tutorial will show you how! 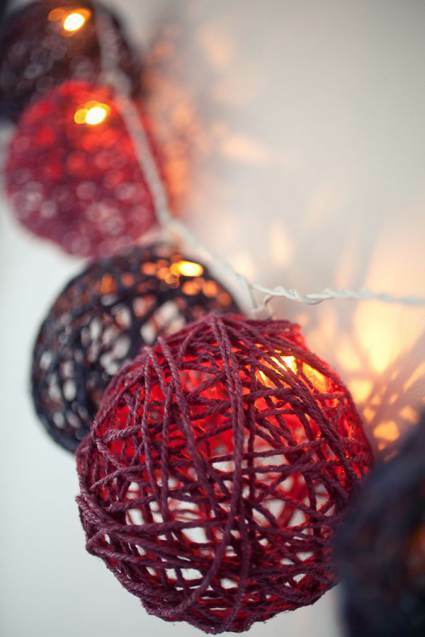 You can create a gorgeous lighted garland with yarn! This 3D pipe tree is awesome! This Christmas tree snowman is such a creative and affordable DIY Christmas decoration for your old fake tree. 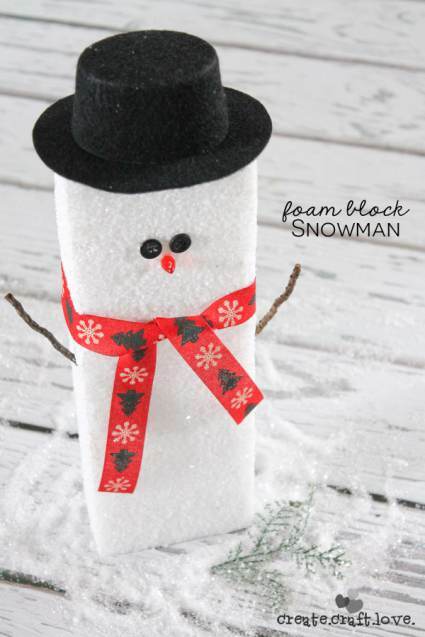 Who wouldn’t love to have a life-sized snowman in their home? 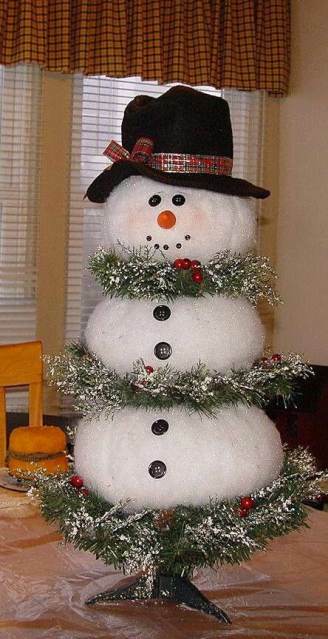 You can create this neat snowman tree in no time! 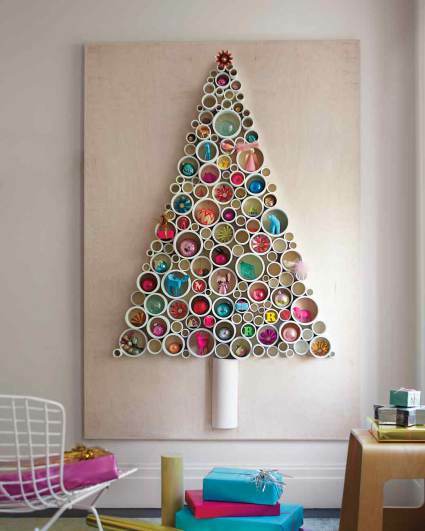 If you want a more modern take on a Christmas tree then this is a perfect decoration for you! 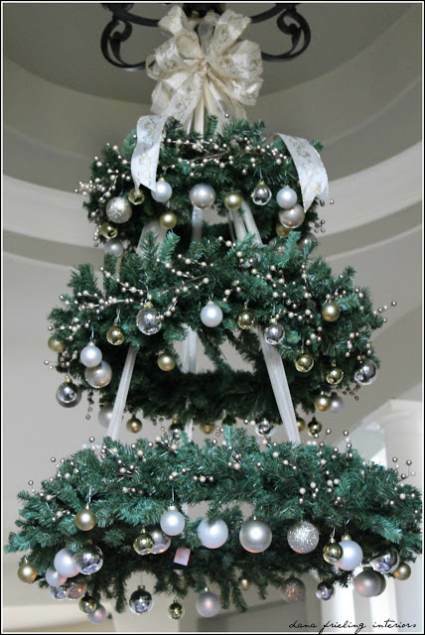 Hang ornaments from your ceiling (you could use a hula hoop or wreath) at varying lengths to create a 3D hanging tree. 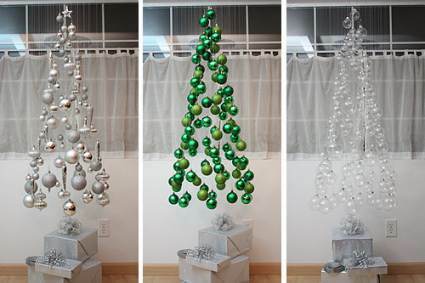 Hang ornaments from your ceiling to form a unique Christmas tree. This is a perfect idea for book lovers that can’t bear to part with a damaged book. 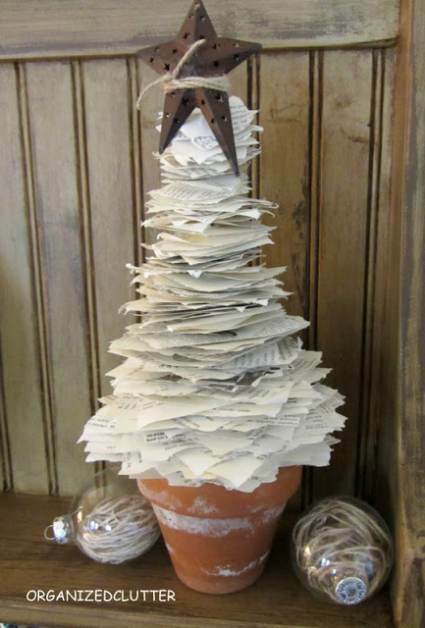 Turn the pages into a Christmas tree! A few pages from a book, a terra-cotta pot, and a stick becomes a neat primitive tree! Perfect for your favorite bookworm! This is such a creative take on the traditional Christmas tree. Use three or more wreaths in staggered sizes (you can make them using grapevine for an even more affordable version) and hang them. Viola, a Christmas wreath tree! Turn wreaths on their side and attach ribbon to create a unique Christmas tree! Have some old lumber? 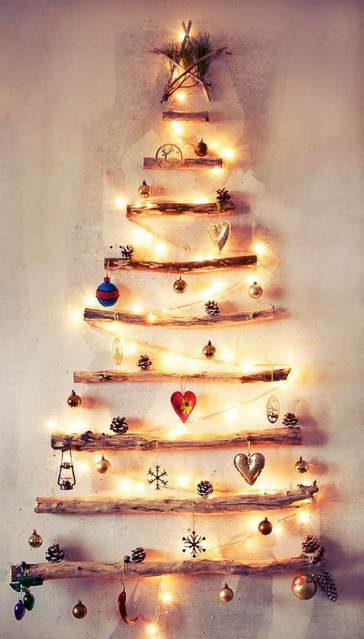 You could make these rustic nail-head Christmas trees in any size. Just cut the sheet in whatever shape you want, paint, and use nails to add a little pizzazz. I’ve even seen 2×4’s turned into primitive snowmen! 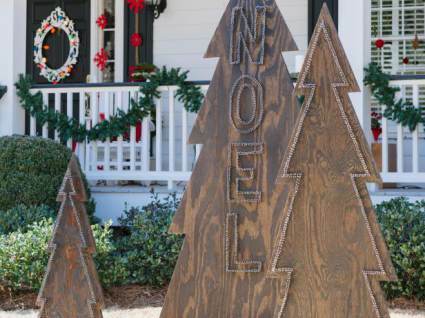 A few simple cuts from plywood and some nails can become a gorgeous rustic holiday display. I can’t get over this one! It’s such a creative use of tree stumps. Just cut them and secure in a snowman form. Perfection! Tree stumps can be turned into a snowman! Here’s a very affordable Christmas tree! Use small branches and form them into a Christmas tree shape – it’s labor intensive but the end result is amazing! Bind small branches together to create a perfectly primitive tree. Pine cones are free and a perfect material for cheap DIY Christmas decorating. Glue them together to make a great wreath. Glue pinecones to a circular form to create a natural holiday wreath. 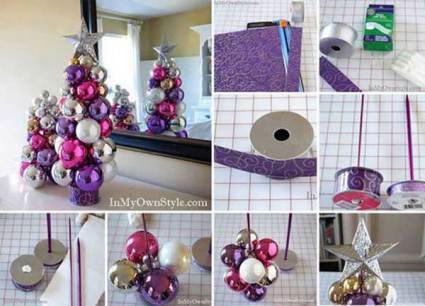 Ornaments can be used in so many creative ways to make your home festive for the holidays. Attach them to a wreath form for a colorful decoration. 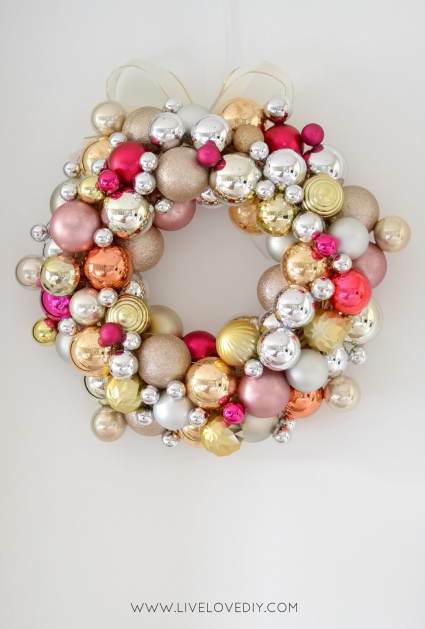 Attach ornaments to a wreath for a gorgeous glam holiday decoration! This rustic pine cone window idea would be a great addition to your home! 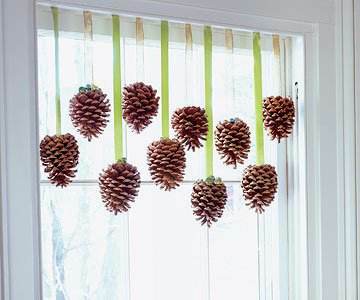 Attach pinecones to a festive ribbon in varying lengths and tie to your curtain rod. 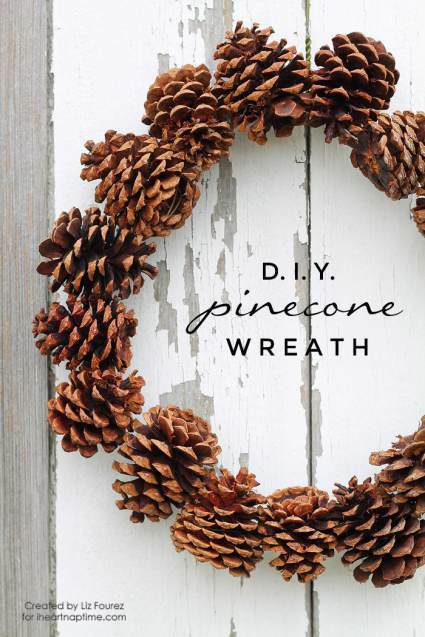 Create a festive pinecone garland for your window. Related: See a primitive wooden spoon version of this idea in a beautiful double wide. This is a great idea for any season but especially Christmas. 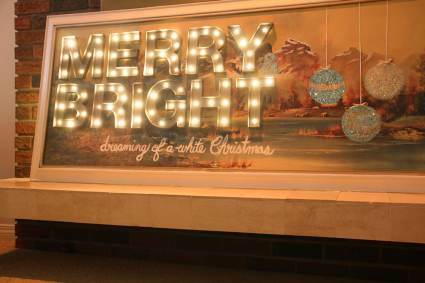 Use the templates provided in the link to create card stock 3D letters and push Christmas lights through the back to create your own marquee sign. Create your own marquee lights from paper! These 27 cheap DIY Christmas decorations prove you don’t have to spend a lot of money to create a beautiful home for the holidays. Hope you have a wonderful holiday season! Thank you for reading Mobile Home Living! Just click on the images to get to the source of each project. Best of luck! A few months ago, I won a bunch of silverplate platters at auction with no idea about using them! I like the “twig tree,” too.